Balance out the different elements of your life. Be more focused and organized and create peace and harmony with your business and personal life. You can live a more balanced life with hypnosis. 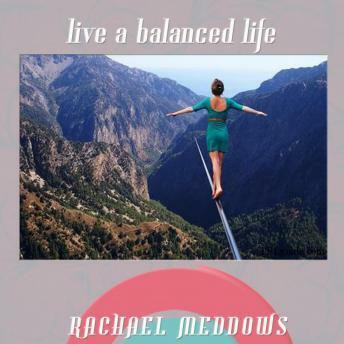 Let Rachael Meddows show you how. "Live a Balanced Life Hypnosis" helps you get more focused and organized, reducing your stress and helping you find peace when you feel overwhelmed. Your mind will receive deep hypnotic suggestions for positive change, creating inner peace, helping you find more balance to your schedule, and helping you develop a more productive mindset. Why wait another day to balance your live? Find peace and harmony with hypnosis today.